The school year is over! Yeah! But as you know, teachers' minds immediately turn to what we can do differently next year. Considering the fact that classroom management is one of the biggest challenges teachers face, we are always searching for something that will work. This year I started using ClassDojo, a classroom management system that has consistently helped me with the behaviors in my classroom. It's very easy to set up whether you're using an Apple or Android device -- there's an app available for both. With this tool, I was able to accomplish the following three goals. ClassDojo is simple to use. You set up a class, or classes. Each class has avatars assigned for each of your students. Once your class is set up, you have the ability to award points, affectionately known as "dojos" in my classroom, for positive or negative behavior. You can award individual or multiple students. The app comes with a list of behaviors, but you can create your own list. That's what I did as the school year wore on (i.e. homework, contest winner, etc.). ClassDojo can be used with your interactive whiteboard, laptops, desktops or smart phones. Students get immediate feedback to their behavior by the distinctive sound made when their avatar is clicked. I rarely assign negative behavior points. My students know that if they earned a negative, it had to be a big deal. I found that positive points motivate my students and have a greater impact on their behavior. Students love getting "dojo" points! They love hearing the sound of a positive dojo, and dread the sound of a negative one. A positive or negative sound has everyone looking at the board and then getting back to work. Teachers are a creative bunch and have found a variety of ways to use those points. I buy a prize at a five-dollar store to award the student with the most points at the end of every quarter, and then I reset their bubbles. You choose what's best for you and your students. But even without prizes, I know students enjoy accumulating points. I introduced ClassDojo to other teachers in my school, and even those who are not tech-savvy use it. When students come to me for Book Club or Math Intervention, I have separate "dojo" classes for each of them. The students respond to ClassDojo. ClassDojo automatically keeps track of the behavior in your classroom by tracking the behaviors that were clicked. You can set it up to create reports that are emailed to the parents. Parents can connect through printed or emailed invites. Once they connect, they receive an email every Friday reminding them to view their child's reports. The parents of my students enjoy receiving the reports because it keeps them in the loop. The reports are easy to read. You are able to set the range, daily or weekly, that you want to view. The information is provided in a donut that shows the percentage of clicked behaviors and underneath a written version of the data for each day. This data can all be accumulated into end-of-year reports. 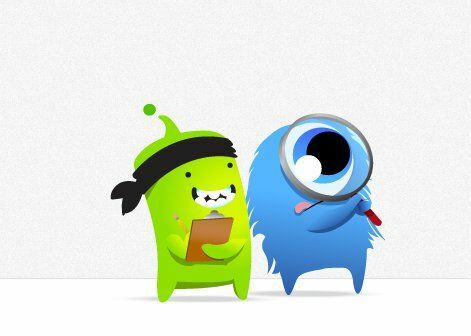 ClassDojo recently added Trendspotter, which allows the teacher to look for trends in student behavior. This is a great way to reflect on what is or is not working in your classrooms. For example, you may notice that on Fridays you have the greatest amount of negative points. You can use this data to reflect on why Fridays seem to be difficult, what you can do to change it, and use data from Trendspotter to see if your strategies worked. Students also have access to their data if you provide them with accounts. Print their login codes, and let them sign in. They can customize their avatars, which they love, and keep track of their dojo points even when they’re not in school. ClassDojo saves time by recording behaviors and accomplishments in the class with just one click. I don't know about you, but I remember a time when I would put checkmarks on the board. Usually I ran out of room, and even worse, it was completely ineffective. I leave ClassDojo on the Smartboard all day. It's not always visible, but the sound can be heard. Whether I'm working with small groups or greeting students at the door, I have my iPhone in my hand. I'm ready to give out positives or negatives without leaving my seat or entering the classroom. A definite time saver! ClassDojo recently added some great new features: attendance, a timer, and my favorite: Random. I created a behavior called "deserving random" which I use during our transitions. You can connect with ClassDojo and its users on Twitter, Facebook, Edmodo and Pinterest. Seeing what others have shared will help you decide whether to make this your go-to classroom management tool for the new school year.